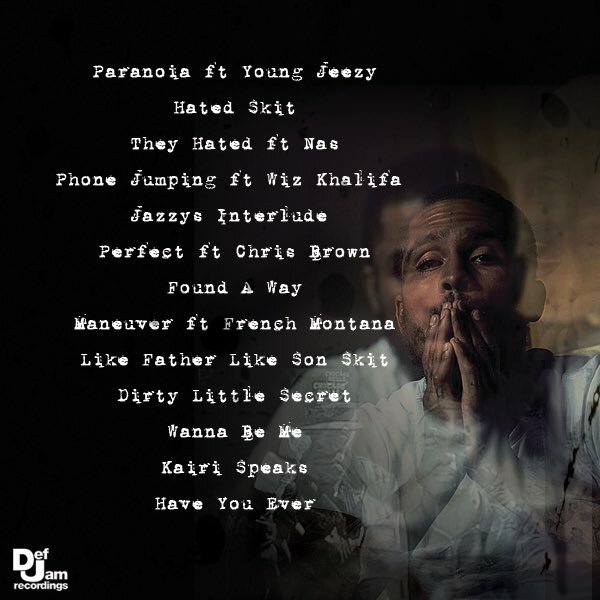 Home>Music> Dave East Shares Tracklist For "Paranoia: A True Story"
Dave East shares a tracklist for "Paranoia: A True Story." Dave East has been putting in work for a minute, amassing quite the catalog through frequent mixtape and single drops. Many consider East to be one of New York's most underrated artists, and his ability to shine on both old-school and new school beats has left many wondering how he hasn't further achieved mainstream success. Perhaps, with his upcoming album Paranoia: A True Story set to drop Friday, August 18th, the saga of Dave East can truly begin. If not, well, he can still go for that modelling bag from Tyra Banks. In all seriousness, East seems poised to make a hell of an impression with Paranoia, and the rapper recently hooked us up with an early look at the album's tracklist. While there are a few notable guest appearances from Young Jeezy, Nas (!!! ), Wiz Khalifa, Chris Brown, and French Montana, East flies solo for the most part, which should surely please his die-hard fans. Of the thirteen tracks, only "Perfect" has officially dropped, and earned a well deserved "VERY HOTTT" user rating on site. It sounds like East is going to be coming through with a versatile batch of themes, lacing some tracks for the ladies, for the streets, and presumably for himself. Plus, the rapper is keeping the iconic yet divisive trend of hip-hop skits alive. What do ya'll think? Are you looking forward to Dave East's first official studio album, or do you feel like he's better served as a mixtape rapper? East is clearly talented, and never fails to deliver some quality bars. It should be interesting to see how he holds it down over the course of a full length project, but has he really given us any reason to doubt him? Stay tuned for Paranoia: A True Story, dropping Friday August 18th. MUSIC Dave East Shares Tracklist For "Paranoia: A True Story"